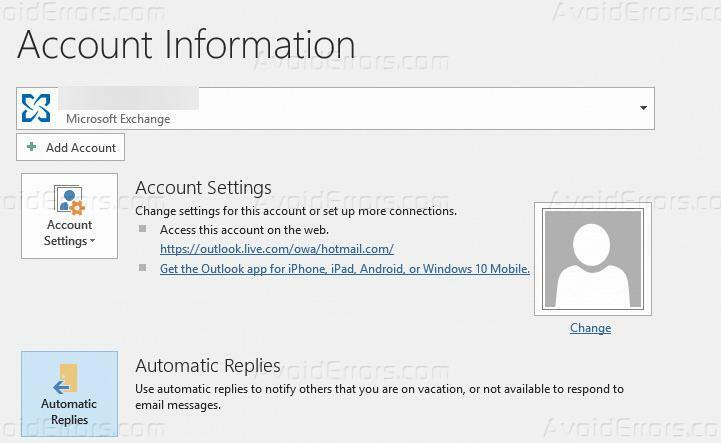 When we go on vacation, we have options to set up automatic replies so that whenever someone emails us they will automatically be notified during the time frame we have set up in automatic replies. In Microsoft Office 2016 we get Microsoft Outlook 2016 that support different types of mail servers. 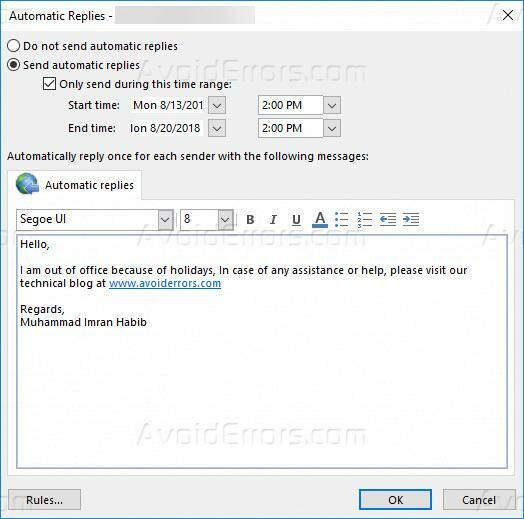 In this tutorial, I will explain how we can set up automatic replies in Microsoft Outlook 2016. 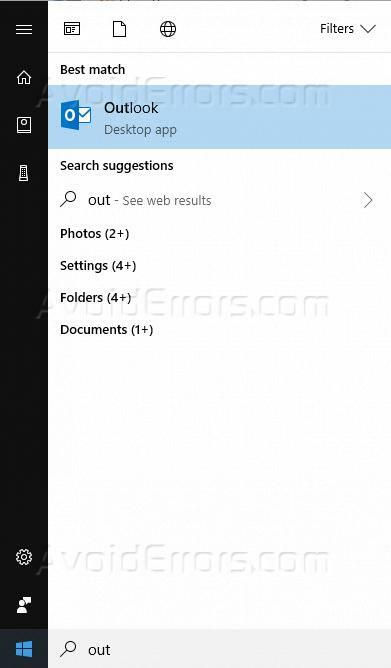 Click on the start menu and start type Outlook you will see Outlook 2016 appear in the list click on it to open Microsoft Outlook 2016. 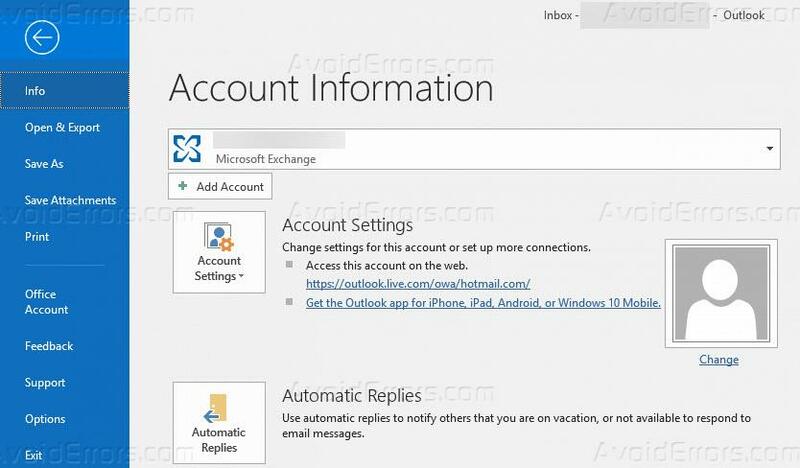 On the top left corner click on the File menu, it will show you some of the account related information. 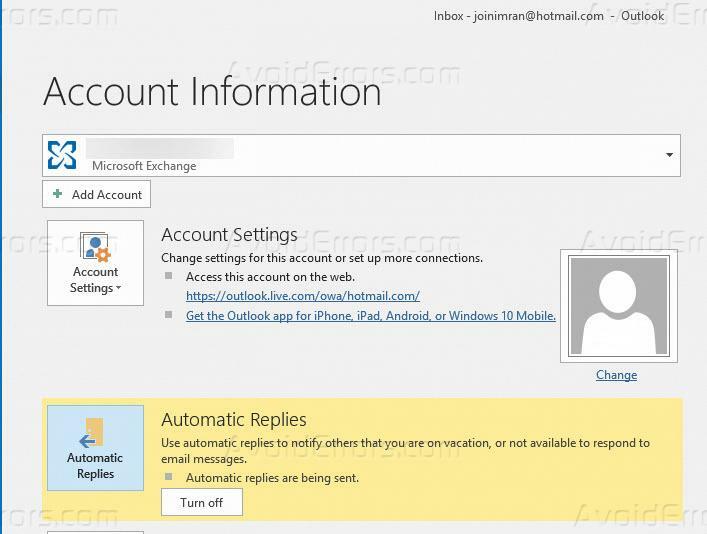 Here you will have second option to set up automatic replies click on the automatic replies icon. You can also set automatic replies for a specific time. 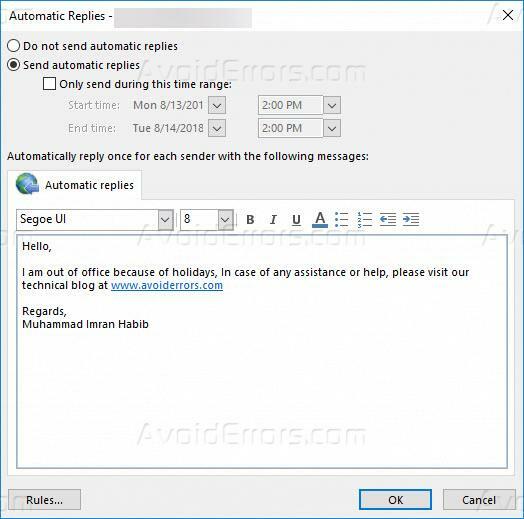 For this, check the checkbox stating only send during this time range and then select the start date and time and end date and time and then write your personalized automatic reply message. Once done click ok.
Now When you click on the files menu you will see under the account information that automatic replies option is highlighted and states that automatic replies are being sent. To turn off automatic replies click on the turn off button and it will turn off the automatic replies we have set up. Otherwise, The Automatic replies well turned off automatically when the and date and time reaches.